Congratulations Kim! And to Ashley and Pilar too! This is one gorgeous palette and the brush looks really plush and soft. The color are really pretty on you! Such a fab idea to have the guide on the back! Well done on winning Kim, if there is a person who deserves it well thats u! The palette is so inspiring, Im drooling over it! U look super cute and made me smile! I am glad you and your friends won, Kim! How nice of you to have chosen them. I love the packaging. You look beautiful Kim!! 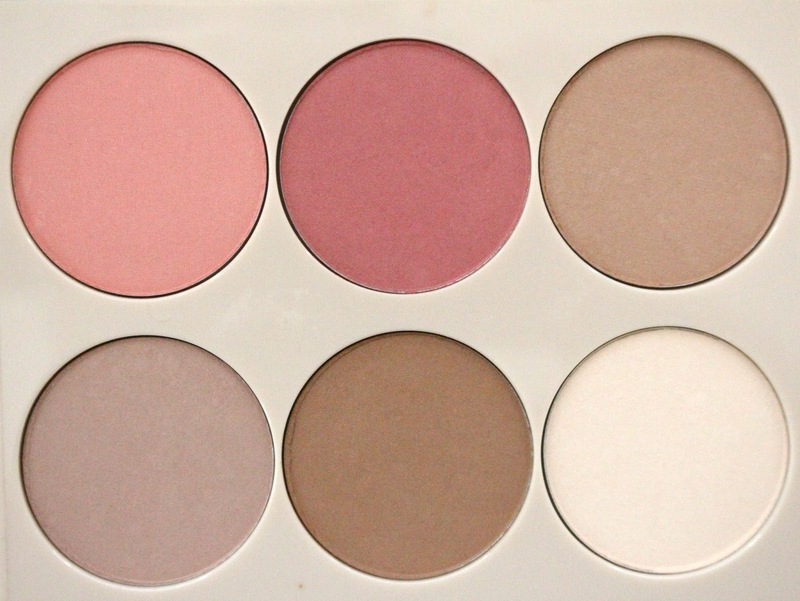 This palette is so amazing. Rhalk up so much for inducing us in the giveaway!! 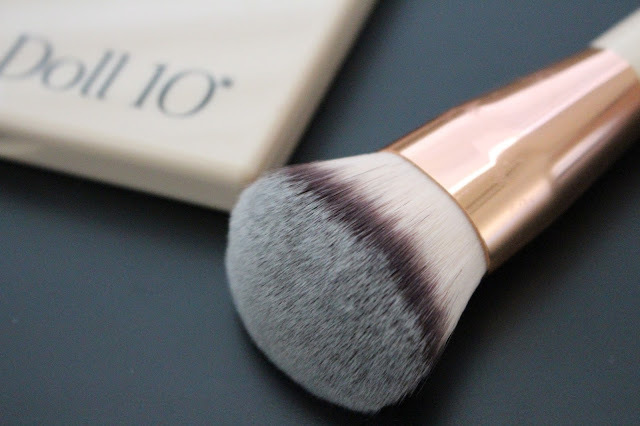 I've been using the brush for blush, but I'll have to try it out for contouring as well! Hi Kim, I too never heard of this makeup palette or brush. Thanks for the review of these. How nice to be a winner of this makeup. Haha I totally meant thank you such much for including us! awesome prize, and generous to be able to share with friends! i am using some crap brushes now...this one does look heavenly!! Congratulations!! This palette looks so awesome and I agree, I love how the packaging shows the use of each shade! Congratulations Kim! The brush and the colour palette looks so nice on this product. 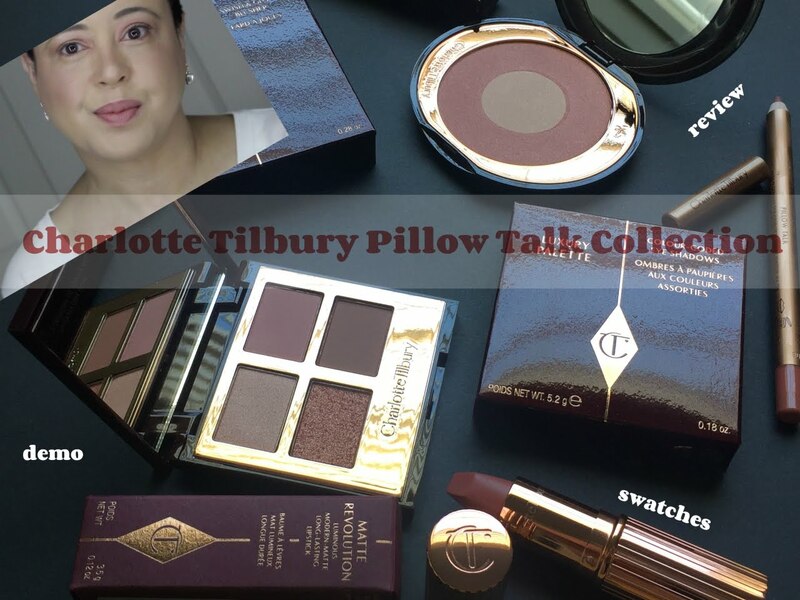 I saw both Ashley and Pilar's review and they too are gushing about this palette and brush! Now I really am itching to get it for myself. I mean a all in one palette, what else can I ask for and I think it would be perfect for me to take to Malaysia next year. Congrats on winning this awesome palette, Kim! TBH, I've never heard of the brand before, but now, I wish it's available here:) You did a fab job with this. 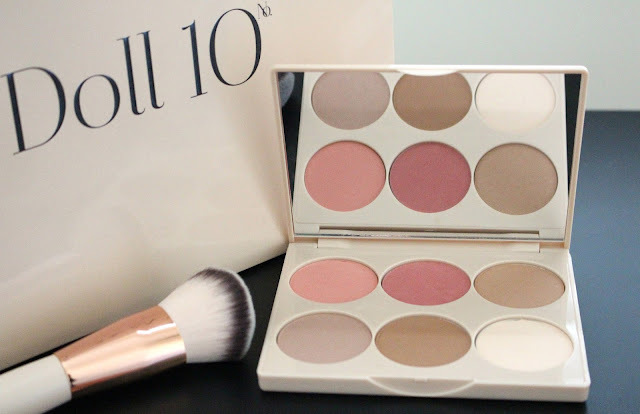 The brush and package is very nice, I need to try contour soon! Thanks for share Kim. Congrats on your win! The palette sounds awesome and you look great! 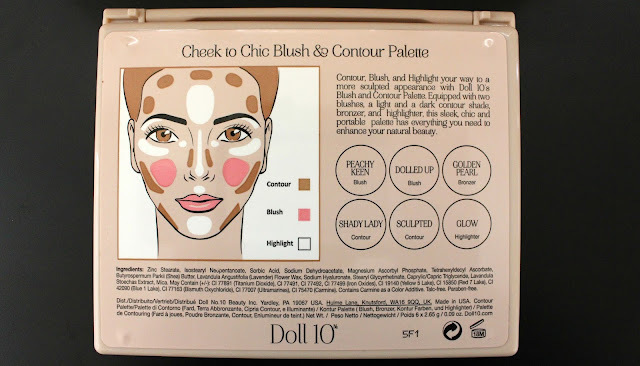 I would love to learn how to countur and this palette seems like the right one to start with....the instructions on this countur palette seem great. You're right, it is always better when the instructions are a part of the packaging because the paper ones always get lost. It looks very natural and soft the way you had used it. You look lovely! ...and to reply to your comment. Yes, that is exactly what I feel when I read Toni's novels. It is like I'm in a story that I'm reading. 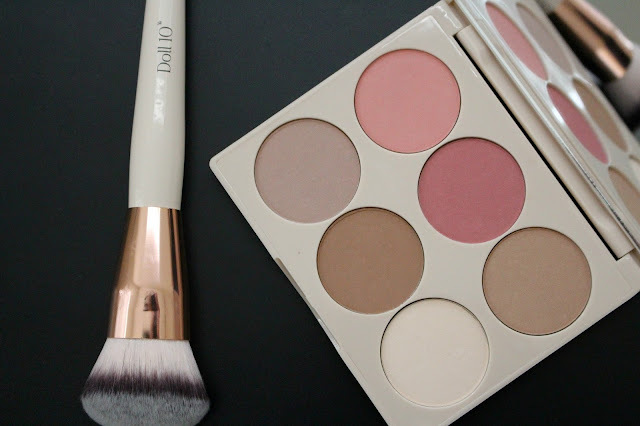 Great post and a wonderful palette, those brushes looked so soft and supple. I bet they feel great when applying make ups. You lucky lady!!! that brush dude !!!! looks and sounds amazing. All the colors on the palette looks amazing, and let me drool over the brush, too pretty !!! Congrats to you and the ladies who won how pretty is the palette shades and the brush is awesome like how convenient is the chart to learn to contour. I also like the little 'how to' guide on the back = if a set doesn't have something like that I'll never use it, haha! I've never heard of this brand, but the palette is beautiful. All of the shades look very pretty and wearable. Very nice! Congratulations on winning this! Looks so natural on you. Me likey! congrats! gorgeous brush and palette! Congratulations! The palette is so pretty and looks gorgeous on you. Such a wonderful review dear! How fun to win!!! That looks like a beautiful palette. I don't think I have seen it before! Oh this set looks so nice! I don't do much conturing my face is too narrow and I don't wear blush as my cheeks are already ruddy. But this looks really nice. 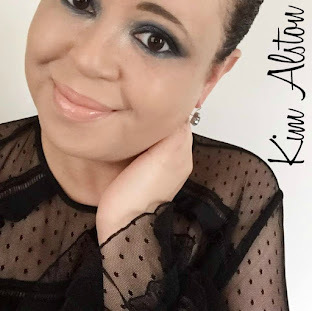 Congratulations Kim on wining this gorgeous palette and how wonderful that it works for you perfectly. I love the shades and instruction on the back is great touch. looks like a great pallet! PS. My little princess just told me you look beautiful. And she is picky my friend! Congrats Kim! This is a fantastic palette, the shades are really beautiful and they add such a pretty glow to your skin. This looks so soft and luxurious. Yay ! on winning this . Congrats on winning Kim! 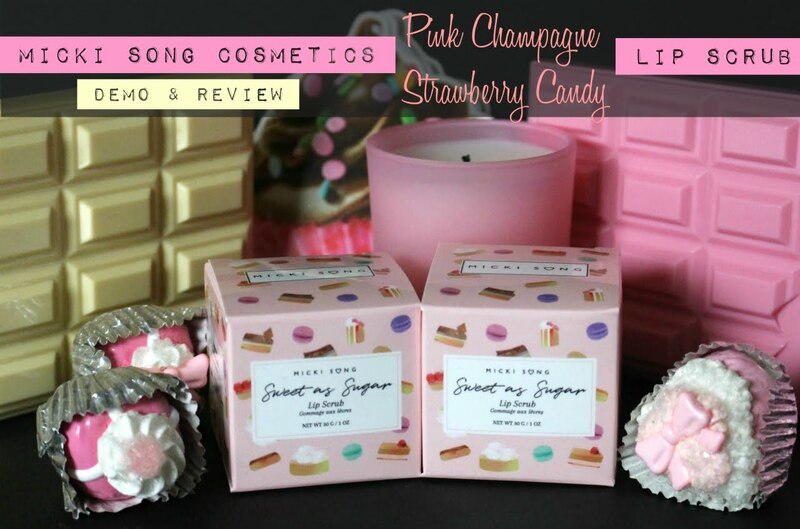 This looks like a good brand and I love the colours in the palette! Congrats on winning the giveaway. I will have to try out these products. Would love for you to stop by my latest post.